Michelle Nauman-Brown was placed into foster care at age 2, separated from her two half-siblings. It took many years for her to understand that it wasn’t because of something she had done. The video – it can be viewed and downloaded at FamilyDesign.org/Michelle – is the result of collaboration between the nonprofit Family Design Resources, for which Nauman-Brown is a youth advocate, and JPL, one of the Mid-Atlantic’s largest full-service marketing agencies. A Lancaster County native, Nauman-Brown lived in 28 foster homes, six group homes, even a six-month boot camp. She endured her mother’s death in a workplace accident, a failed adoption and a general sense of not belonging to anyone or any place. Each year, approximately 1,000 Pennsylvania youth exit the foster care system without achieving a form of permanency. They are not reunited with their birth families or adopted, often leaving them with nowhere to go and no one to turn to for support. Without permanency, youth are at greater risk for homelessness, addiction, teen pregnancy, incarceration. In a sense, “Michelle’s Story” is a how-not-to video. Nauman-Brown offers insight into her missteps so that current foster youth learn from them. 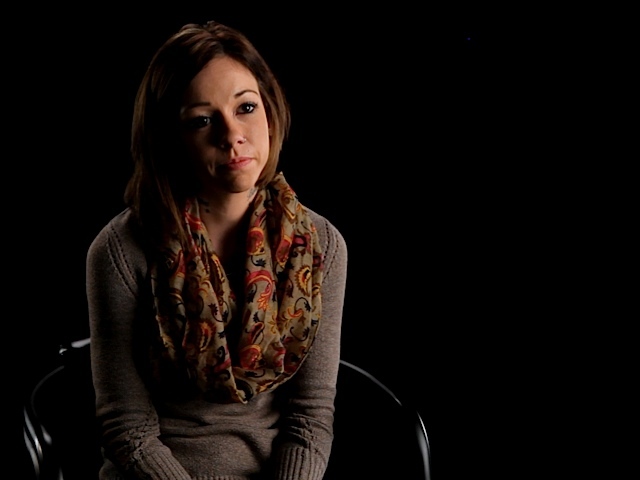 After leaving foster care, she moved in with her boyfriend, who left when she got pregnant. She ultimately ended up homeless with two young children, who went to live with one of her former foster families. Nauman-Brown, who now lives in Bradford County with her husband and children, travels the state sharing her story with older foster youth. She encourages them to stay in foster care as long as they can and to pursue permanency. Deborah Wilson Gadsden, who originally placed Nauman-Brown and her siblings into foster care, is now a training specialist with Family Design Resources. “You never stop needing a family and someone that you can call your own regardless of how old you are,” she says. Sandra Bennett, program staff with Family Design Resources, notes the importance of helping foster youth “to process out” the feelings associated with their pasts in order to make healthy connections going forward. They need to know that there are people who believe in them and have hope for their futures. “We should never give up on our kids,” Bennett says. “Michelle’s Story” concludes with calls to action, encouraging viewers to get involved to help reduce Pennsylvania’s permanency problem. Harrisburg-based Family Design Resources (www.familydesign.org) provides consulting and training to agencies and institutions that serve children and families. Family Design Resources partners with Diakon Lutheran Social Ministries to manage the programs of the Statewide Adoption and Permanency Network (SWAN).